There's an innovative food hall coming to Cleveland's Ohio City neighborhood, featuring a large space with a bar, communal seating, and multiple restaurant concepts for diners to choose from. The initial lineup was recently announced for Ohio City Galley, and I was thrilled to see one of my favorite restaurants, The Black Pig, included on that list of four. They are opening a new Oaxacan cuisine spot, with a focus on Mexican food that you won't see anywhere else in Cleveland. At a preview dinner, I got to see (and taste!) some of what to expect from Poca Casual Mexican. We started with some housemade Tostadas with Salsa Verde and Roasted Tomato Salsa. Then, moved on to Mole Crusted Beef with Purslane, Peanuts, and Cilantro Vinaigrette. Next up was probably my favorite course of the night, an Octopus Taco with hoja santa tortilla, Ohio knot weed, and poblano. The savory courses ended with Pork Mole, a braised pork collar with mole verde, black bean puree, and carrot. We finished the meal with a Blackberry Mezcal Sorbet with coconut foam and coconut granola, probably my second favorite course of the night. They are still playing with recipes and techniques and tweaking sauces and salsas, but this preview gave us a sneak peek of what's ahead, and it's going to be good. 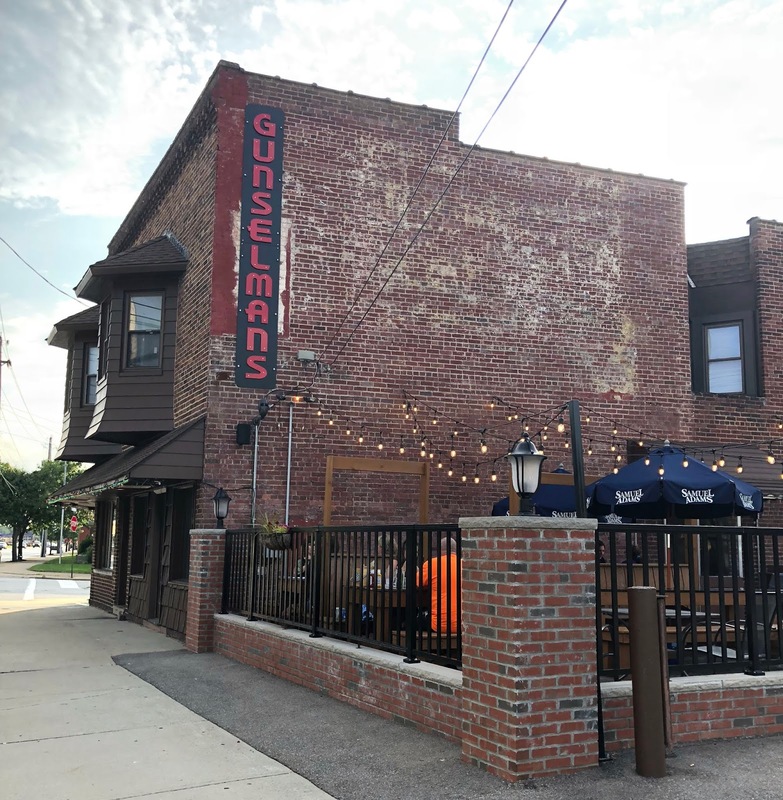 Ohio City Galley is slated to open in October in the former Massimo Da Milano Italian restaurant space on West 25th. We found ourselves in the Fairview Park area around dinner time, so I headed to Twitter to ask for recommendations nearby. Gunselman's Tavern was quickly suggested, and after a peek at their menu online, we headed right over. We snagged a table on the patio, some beers, and started to look over the menu. 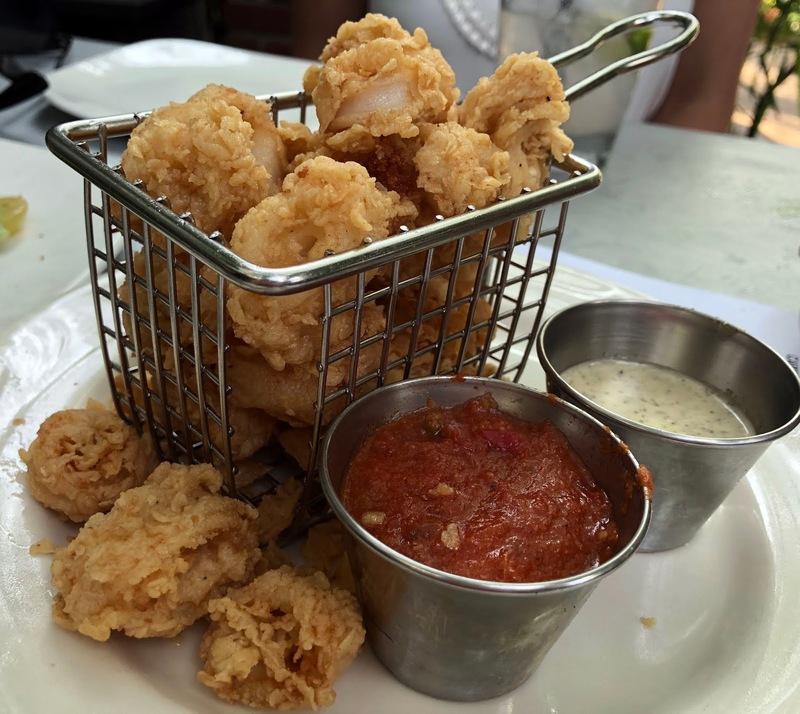 This tavern has traditional American bar food, kicked up a notch. 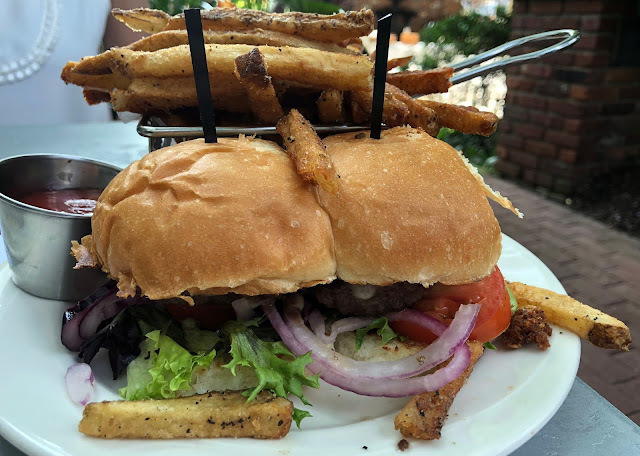 They were awarded Best Burger by cleveland.com in 2018, so there are plenty of interesting and standard burger options. We knew we had to try one, but we also wanted to share something else. We settled on the Maine-style Lobster Roll ($14). 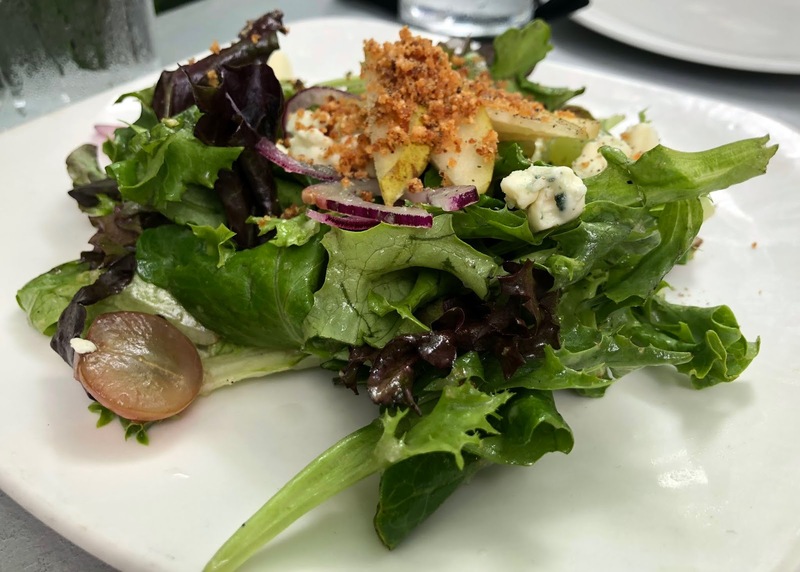 You have your choice of side from fresh-cut fries, mac n' cheese, brussels, side house salad, or side Cesar salad. As you can see, we went for the mac n' cheese! The lobster roll bun was phenomenal. 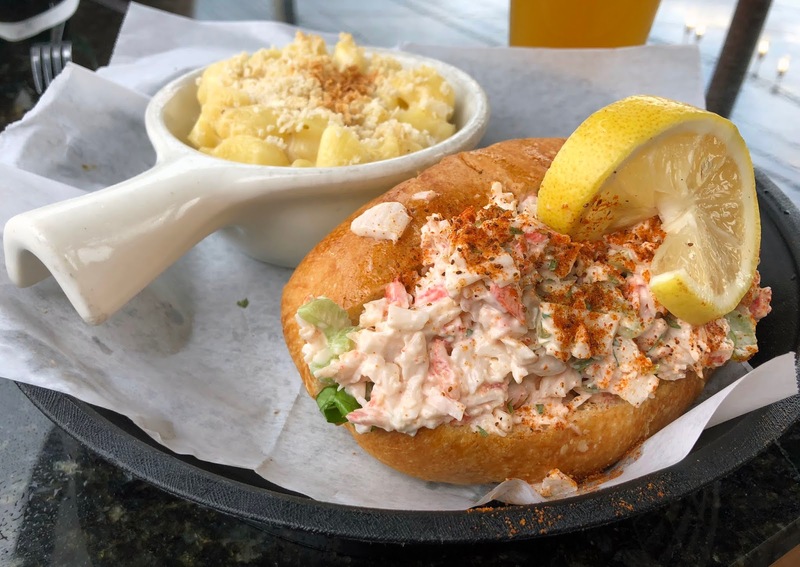 The sandwich was heavily seasoned with Old Bay, which dominated a bit too much for our taste, but it was a good sized portion and held together well in that glorious bun. The mac n' cheese was creamy without being soupy, and there was just enough crunch from the light dusting of toasted breadcrumbs on top. 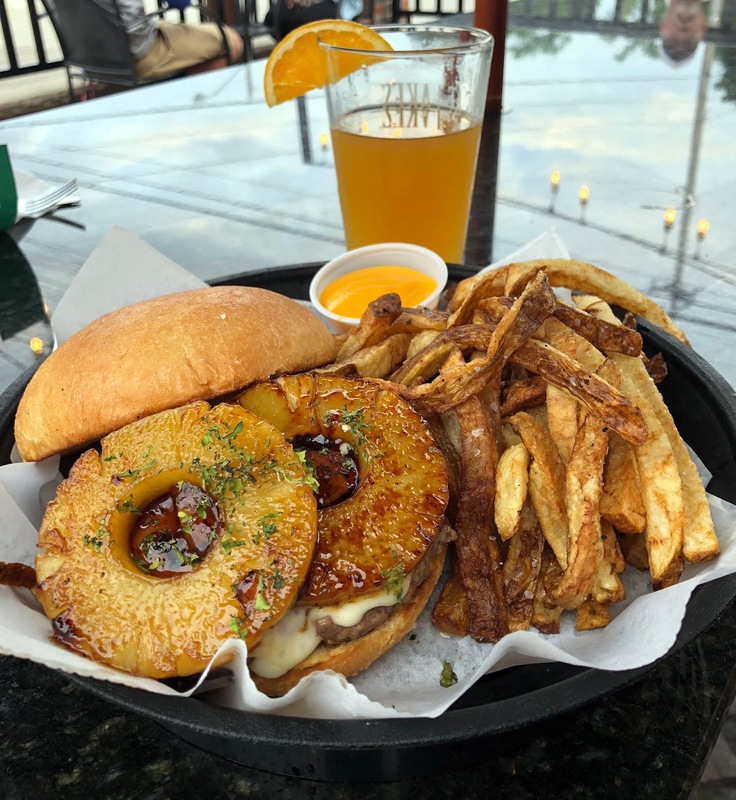 We also shared the Hawaiian Style burger ($12) with grilled pineapple, SPAM, and provolone topped with garlic zing and cilantro. Again, a great bun. I wonder where they source their bread products from. The burger patty itself was pretty good too, and we enjoyed the burger overall but felt that it needed more of the garlic sauce. It was just missing a little flavor, and the sauce had been completely absorbed by the bun. A good heavy schmear of it probably would have been just what it needed. But, this burger definitely left us wanting to try another version. The fries were also very good, and served with a side of cheese sauce (surprise!). They were out of their Alligator Tacos that evening, or that may have been our non-burger selection! I'd love to try them. We aren't overly familiar with that area of town, so it was great to find a place that we want to go back to. Foyer is a cafe that recently opened in Cleveland’s Ohio City neighborhood. The cafe is connected to Beauty Shoppe, a network of neighborhood-based co-working spaces originating in Pittsburgh. 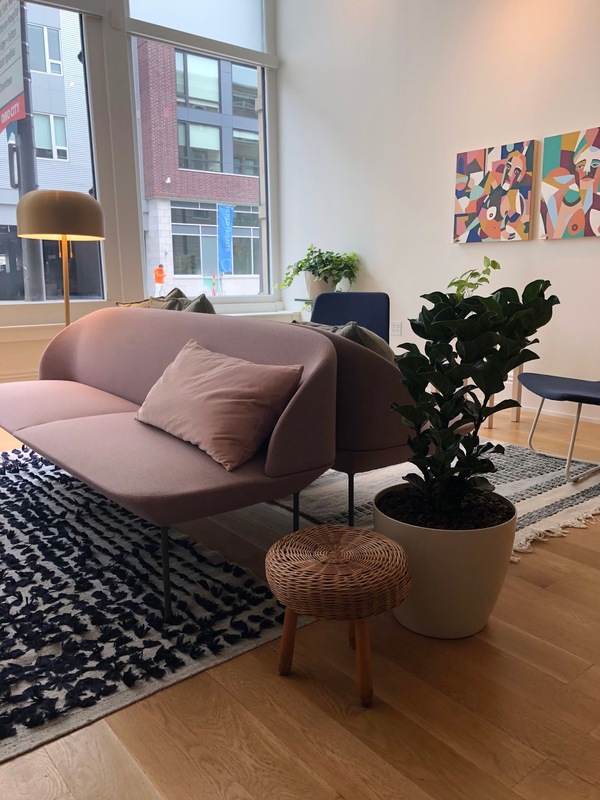 Foyer was inspired by the desire to bring beautiful, social, and communal spaces — previously limited to Beauty Shoppe membership — to the general public. Cafe patrons have access to the beautiful coffee shop, and the adjoining lounge that serves as an entry for the members-only private meeting/work spaces. The colors and design are simply stunning, and I could curl up for hours in this lounge. 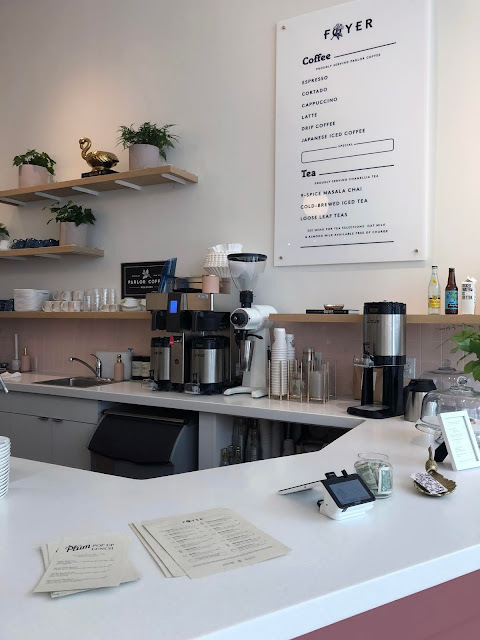 Parterning with Parlor Coffee and Chamellia Tea, the cafe menu is a thoughtfully-curated selection of espresso and tea. Their signature beverages are a crisp and refreshing Kaffe Tonic and $1 To-Go Drip Coffee. Their daily pastries are supplied by Tommy’s Pastries in Lakewood. But, on Fridays only, they are doing a Pop Up Lunch menu curated by Ohio City's The Plum. 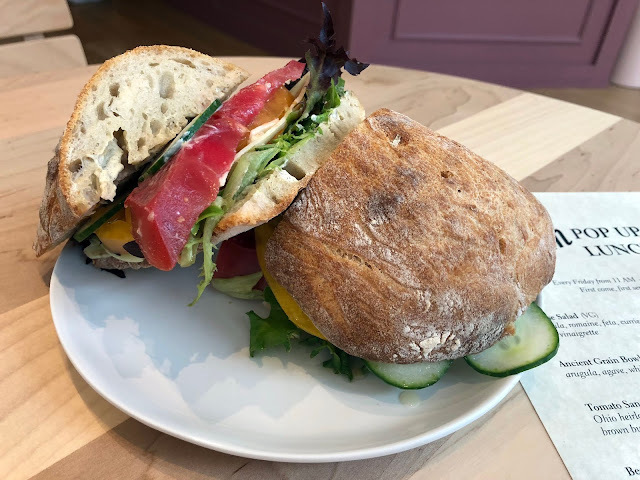 This includes a small selection of creative, and often locally-sourced items, like the Tomato Sandwich ($11) with Ohio heirloom tomatoes, cucumber, gruyere cheese, lettuce, and brown butter mayo. And, the House Salad ($9) with arugula, romaine, feta, curried orange, spiced pumpkin seeds, and chili vinaigrette. It is days later, and I'm still dreaming of this salad. No joke. I need to have it again, and again. The citrus from the candied orange peel with the spice of the chili vinaigrette is pure heaven. 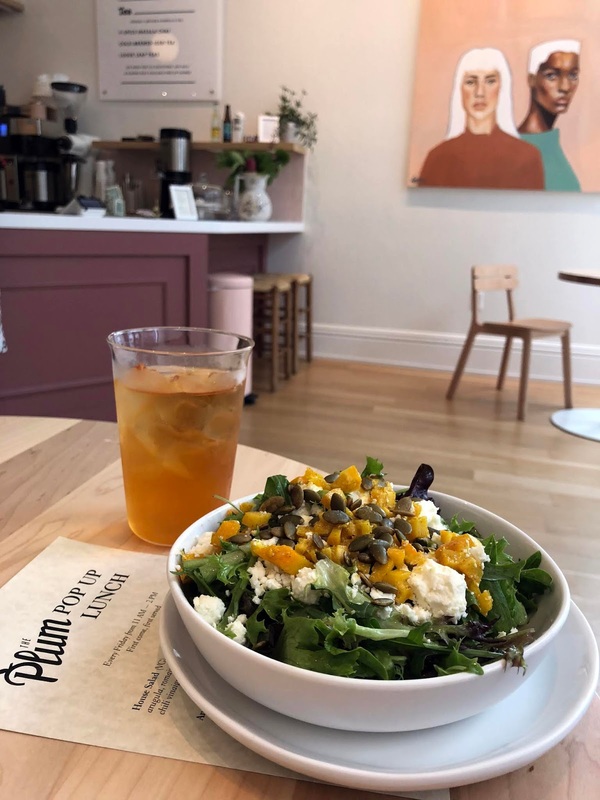 Serving 11AM - 2PM on Fridays, first come first served, this is a new lunch and meeting spot that you don't want to miss. 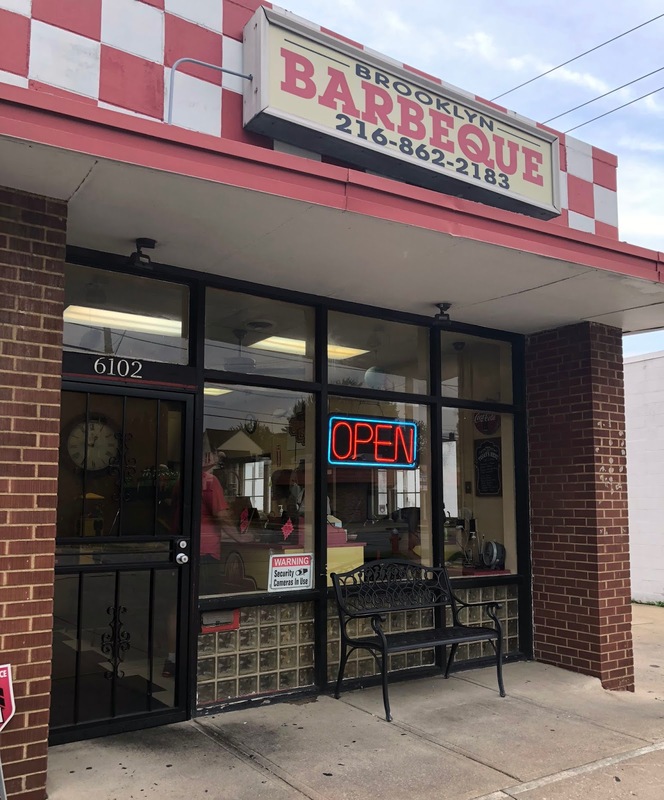 I'm not sure how long Brooklyn BBQ on Memphis has been in our neighborhood, but when the owner was dealing with a health issue and had to temporarily close its doors, residents were upset. So, when we drove by the other night and saw the lit "OPEN" sign, we decided to stop in and grab takeout to bring home. It took about 20 minutes, and we walked out of there with a big pile of food for under $40. Mr. H and I split a full rack of Ribs ($21.99, We each ate a good portion and there was still about 1/3 left! ), a Polish Girl ($6, I had to look up what it was. A Cleveland classic- a Polish Boy with the addition of pulled pork. ), a medium side of Baked Beans ($5.95), and Mozzarella Sticks (5 for $4). The ribs had a good smokey flavor to them, but the sauce was a little thin for my personal taste. I prefer a thicker, sticky sauce on ribs. Overall, the food didn't blow me away but it certainly was decent BBQ. I could make a meal out of those classic Southern sides. They also have several other sandwiches, meat platters, and fried seafood options. But, the real gem of this spot are the owners. They could not have been sweeter, and I can see why the neighborhood was sad to see them temporarily close their doors. I'll probably stop back in, just because it feels good to support such nice people! I have a post-weekend glow on this Monday morning, thanks to a fabulous evening on Saturday. A year ago, Mr. H and I won a silent auction package at the Silver Spoon Awards charity fundraiser for an in-home cocktail party for 25 guests catered by Toast. We finally got a date on the calendar, invites out, and we opened our home to just over 20 neighbors. Thanks to Old Brooklyn Cheese Co. and Heinen's, I put together quite an impressive cheese and charcuterie board for our guests! They say...practice makes perfect. And I finally got to use my Brass Porcupine Toothpick Holder. Toast rolled in to our house and whipped up quite the spread of food and drink. Five different hors d'oeuvres, wine, beer, and a dangerous delicious punch. They stayed through most of the evening, refreshing the food and serving beverages. Now, our neighborhood was affected by the power outage on Saturday. We were only about a half hour into the party before BOOM...no lights, oven, or power to the fridge. Have no fear, Toast kept the food and drinks flowing and we partied by candlelight into the wee hours of the morning. I knew I liked my neighborhood for a reason! It sounds fancy schmancy to have a cocktail party in your home catered, but it's not as expensive as you would think and there are a ton of Cleveland companies and restaurants that will do it. They do all the heavy lifting, and you get to sit back and just enjoy your guests (hence no additional pictures of the party or food). Very little work for you, no stress, delicious food and drink, and most of the party clean-up is taken care of too! We had such a wonderful evening with our neighbors. It exceeded all expectations. I'm just going to sit here in the post-party glow for a while. Thanks, Toast! Welcome to the new, fresh look of Bite Buff! I've been blogging for nine years about the Cleveland restaurant scene, events, and local products, and it was time for a little reboot. You'll still see all of the same content, with just a new look and feel. Check out the About Me section to learn more about the blogger behind the name, and what brought me to Ohio a decade ago. You'll notice that the right-hand column of restaurant names and neighborhoods/cities is no longer there. It's been moved over to its own page, and you'll be able to search them a little easier under Restaurant Reviews. Just be patient with me as I build out the content for this page. Almost 1,000 blog posts later, it's going to take me a few weeks to update! But I love the cute new headers for this page. You will also still see Upcoming Events taking place around town that feature our area's chefs and food/wine, and links to my social media accounts. I suggest giving me a follow on these platforms, if you don't already, because I share a lot more food pictures, our adventures around town, and more of my life on Twitter, Instagram, and Facebook. I want to thank Ashley from Little Leaf Design for working with me again to freshen up my blog's look and feel, and redesigning the Bite Buff logo and graphics. She takes the ideas and thoughts from my head to real life in a way that I could never do on my own. I hope that you enjoy the new look and format changes. 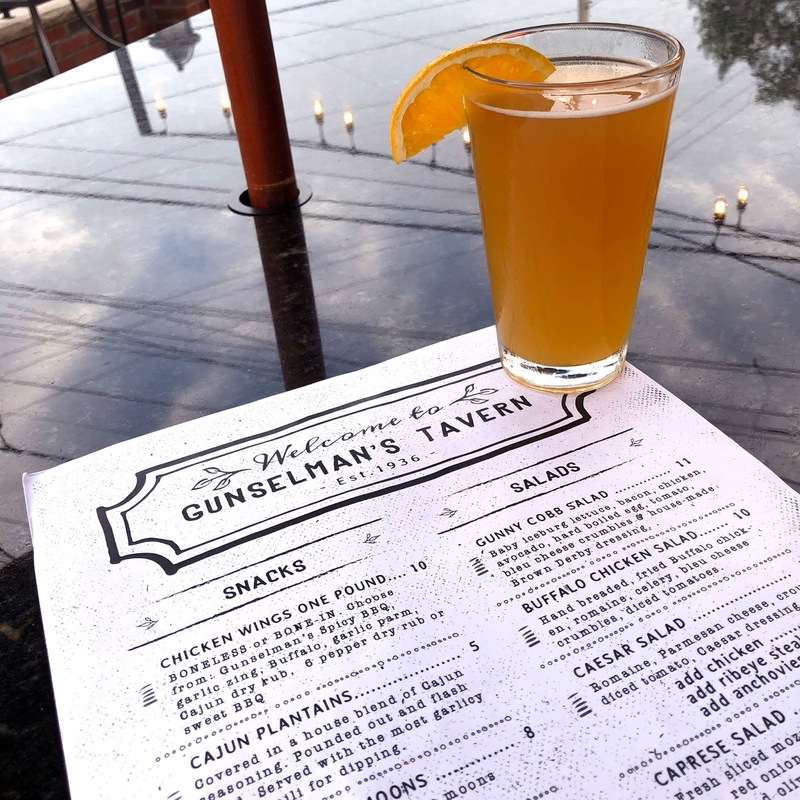 Let's keep exploring the Cleveland dining scene together for many more years to come!